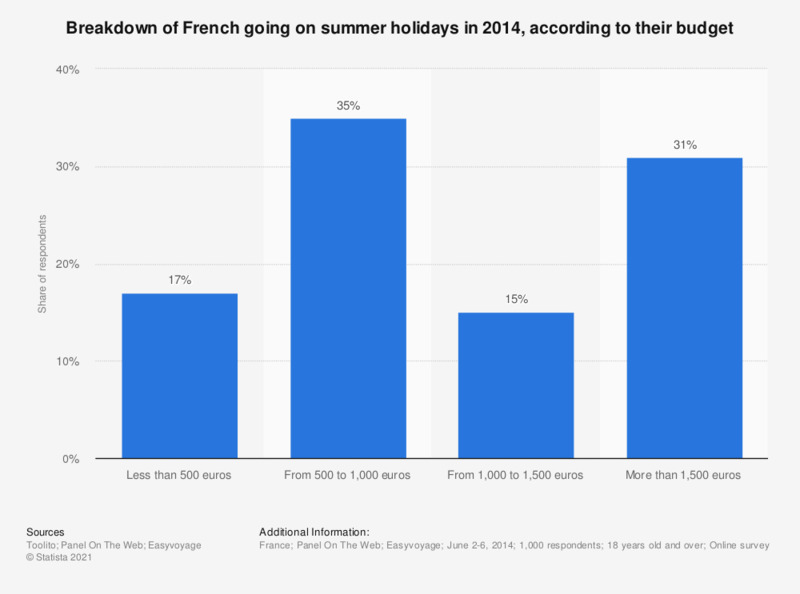 This is a statistics on the budget expected by French tourists for their summer holidays in 2014. According to the survey, 35 percent of tourists planned between 500 and 1,000 euros to go on holiday that year. How long does the summer vacation that suits you best last? How long will you go on vacation this summer, between July 1st and August 31st? What do you pack in your suitcase when you go on summer holidays? What budget will you spend on your February vacation?